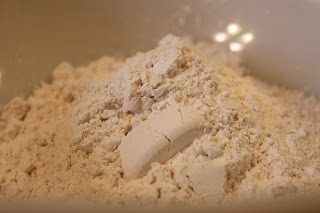 When I first saw this recipe, I found it hard to believe that you could make bread from two ingredients. But, I decided to give it a try and, to my amazement, it worked! Now, keep in mind that this is bread, not cake. The flavors will be subtle and mildly sweet, perfect for a dollop of sweetened butter or your favorite preserves. 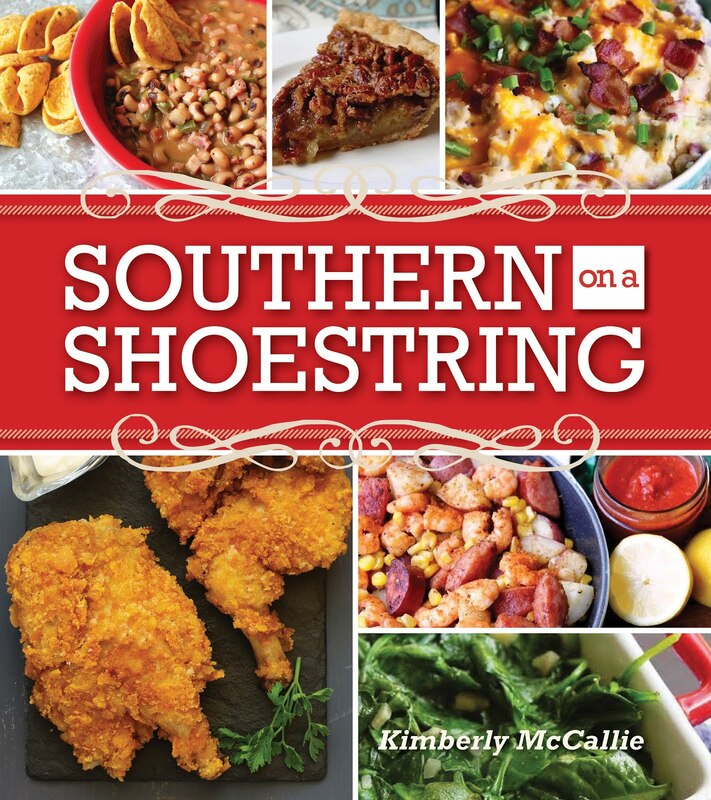 This recipe is from Southern Living's 1001 Ways to Cook Southern, copyright 2010. According to the recipe's notes, any flavor can be used but low-fat ice cream had disappointing results. Doesn't it always?? Preheat oven to 350 degrees. 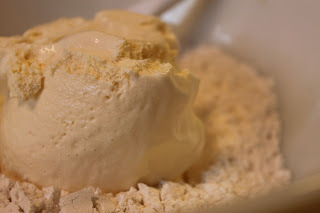 Stir together ice cream and flour, stirring just until flour is moistened. 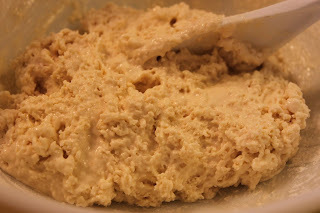 Spoon batter into a greased and floured 8"x4" loaf pan. 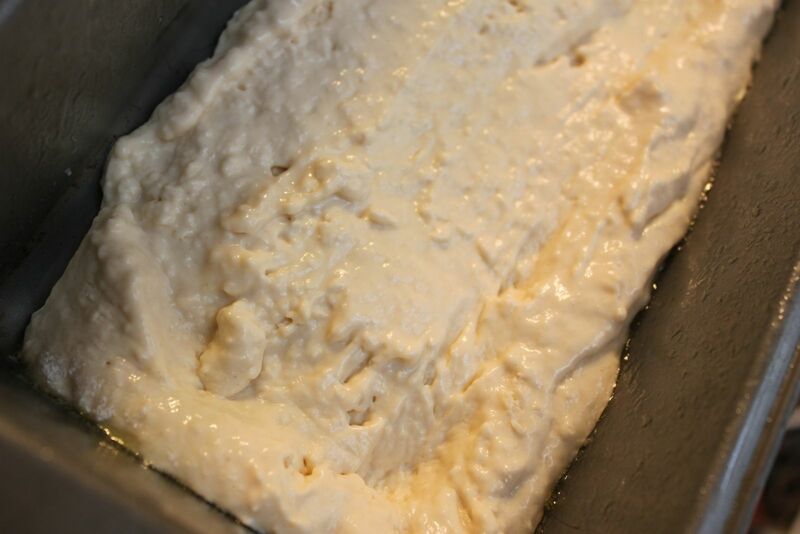 Bake at 350 degrees for 40 to 45 minutes or until a wooden pick inserted in center of bread comes out clean. Remove from pan, and cool on a wire rack. I thought vanilla and strawberry would be a good place to start. Besides, these had been in the freezer for a couple of weeks without any takers. Here's the flour - 1-1/2 cups. I started with the vanilla. Although it had softened for a few minutes, it could have stood to be even softer. I think I'll let it sit for about 30 minutes next time. The batter will be thick! Spread into a prepared loaf pan. I didn't even clean the bowl - just started working on the strawberry. I figured out that my loaf pans are 9" instead of 8" so the batter was spread very thinly and made for a thinner bread. I started checking my bread around the 20 minute mark and it didn't take it very long to bake after that point. 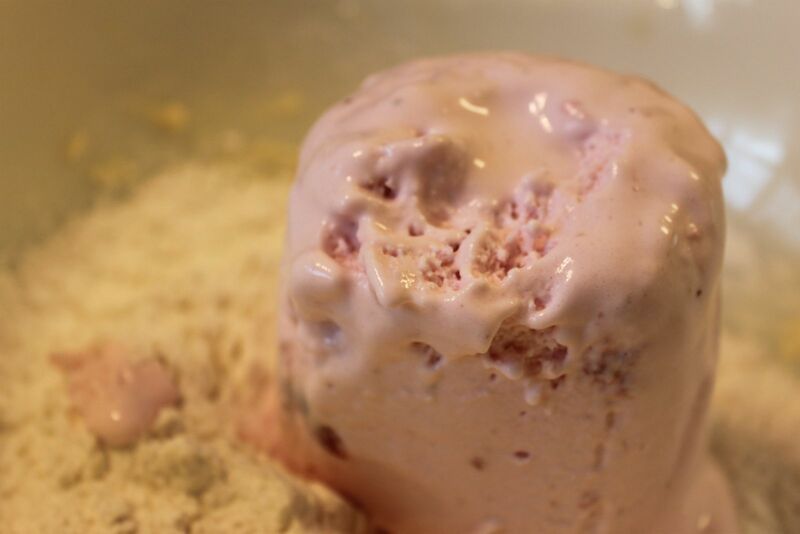 This ice cream was full of strawberries so made for a thicker, fuller batter. Even though I put both pans in the oven at the same time, I had to let the strawberry one cook about four extra minutes. Just keep checking with a toothpick for doneness. I think I'm going to add mini loaf pans to my wish list. 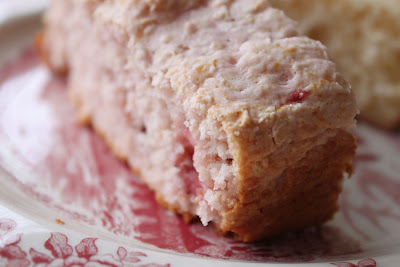 The strawberry bread was much thicker with big chunks of strawberries. Yummy! I couldn't help but think how gorgeous this would have been with vanilla beans running throughout it. Seeing the two slices together set my mind to racing about how chocolate ice cream would have made for a gorgeous Neopolitan display. 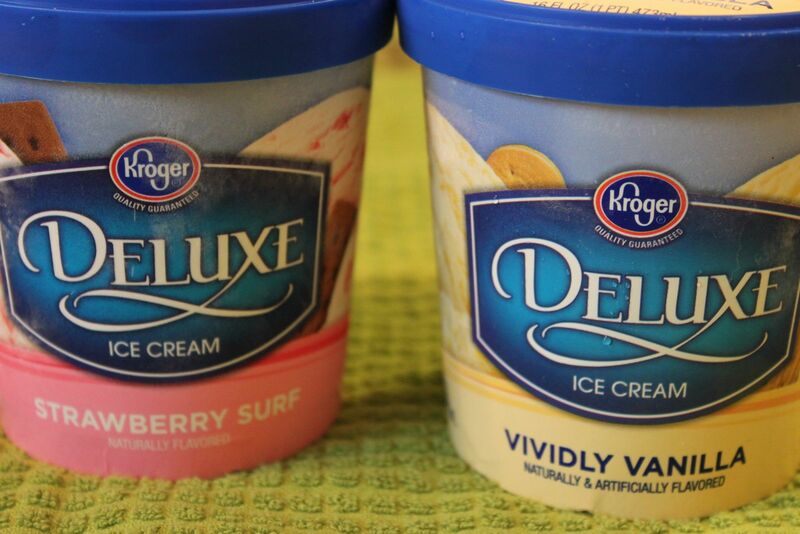 With so many flavors of ice cream on the market, the possibilities are endless! Try your favorite flavor and serve with a side of powdered sugar-sweetened butter, a dab of Nutella, or some luscious strawberry preserves. 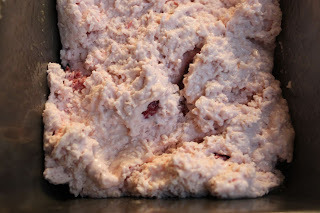 My word that is too funny to think you can make a decent bread from icecream. I've bookmarked this recipe and will have to definitely try this. Yes, I preferred the strawberry over the vanilla. But, like I mentioned before, it is only mildly sweet. I would say more of a breakfast bread than dessert. Definitely needed a sweet condiment. I am definitely going to have to try this. Thank you for posting this! Now who would of thought to mix those 2?!! Thanks Mary! Happy New Year to you, too!! That's a very interesting recipe. I will have to try this! Very glad you shared this post, Kim. 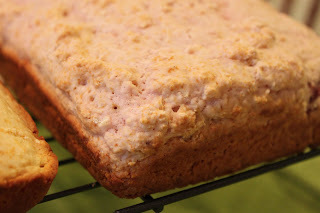 This breads really lends itself to add-ins such as nuts, fruit, chips, or coconut! These are so pretty. Can't wait to try them. I made this. 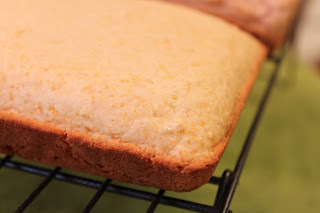 It's pretty good, but I found that it tastes very similar to cornbread. Also, when I made it with vanilla ice cream, I added a tsp of vanilla extract. I tasted really good this way. I make this every year, using Butter Pecan with a splash of spiced rum. I also use chocolate ice cream with some Kahlua. does the ice cream have to have eggs in it, or does the egg free kind work? I've tried it today with chocolate ice cream and it's delicious! My friend said she thought it was a bit too sweet, but I think the bread convinced her in the end. I wonder how well this would work with cookie dough ice cream. I just made this with ben & jerry's cinnamon roll ice cream. It was amazing! 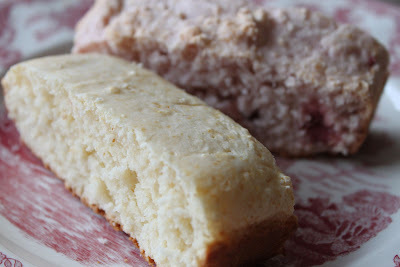 I layered it with cinn/sug and had to bake it for quite a bit longer than the recipe...but it was soooooooo good!